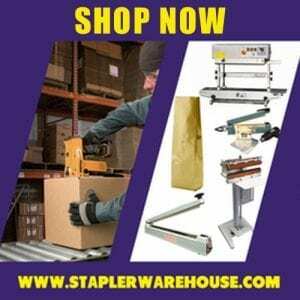 When you need a top quality selection of professional grade cutting tools, you can always count on Stapler Warehouse to provide you with the best equipment available on the market. For heavier materials such as mat board and common substrates, it is important to equip yourself with a reliable cutter that has the durability to stand up to whatever material you’re working with. At Stapler Warehouse you’ll find everything from heavy duty multi-substrate cutters, mat cutters and precision general purpose cutters from industry leading manufacturers like Keencut. With so many quality options to choose from, it is important to ask yourself the right questions that will help narrow down your selection to the ideal choice for your cutting needs. When it comes to mat board and substrate cutters, there are some major differences in terms of cutting capabilities compared to typical paper guillotine cutters. In order to find the right cutter for your needs, it is important to think first about what exactly you’ll be cutting on a regular basis. Certain mat board and substrate cutters come with different options including maximum cutting sizes, optional scoring and unique applications such as cutting v-grooves. If you are looking to cut any rigid or semi-rigid materials, your best option will be a cutting bar. Mat board falls under the semi-rigid category of materials, and cutters capable of handling a material like mat board will also be good for cutting other materials from foam board to corrugated plastic. One of the best cutting options for these materials happens to be the Keencut Ultimat Futura Mat Cutter. Its innovative design features a number of components such as a built-in self aligning ball that makes it easy to make multiple cuts with the utmost precision. For more rigid materials and substrates with little to no flexibility you may require a more versatile cutter. Rigid materials such as glass, plexiglass, masonite board and alumalite can all be cut using one incredible cutting tool. The Keencut Steeltrak Multi-Substrate Cutter offers a wide range of cutting options that makes it easy to transfer between cutting jobs. The tool comes with four tools mounted on a rotating wheel, making it simple to switch tools in seconds. You can go from scoring glass to cutting MDF board with ease, and the tool comes in different sizes depending on the length of materials you are cutting. 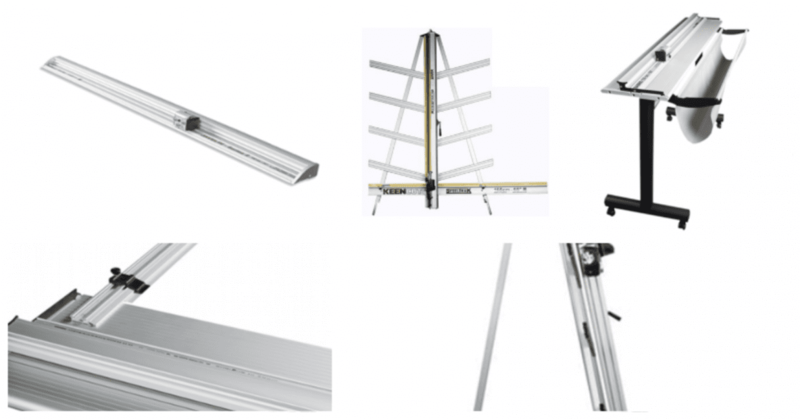 Choose between a 65 or 82 inch cutter to accurately cut even the longest materials, and never worry about cutting out of alignment thanks to the Steeltrak’s dual vertical beam. Now that you’ve worked out what exactly you will be cutting, it is important to think about where you will be using your new cutter. Some of the cutters we’ve already discussed can be mounted on work benches or walls to facilitate vertical cutting needs. In addition, you can find a great selection of portable cutters that are easy to set up wherever you happen to require a cutting tool. 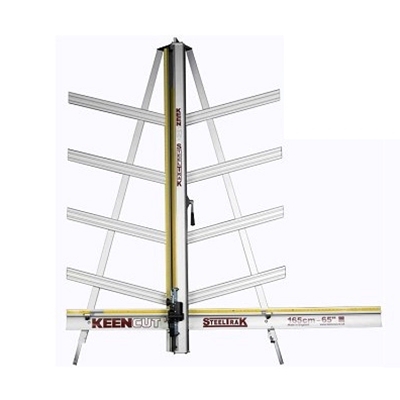 The Keencut Javelin Series 2 Precision Cutter Bar is a perfect example of a cutting bar ideal for both flexible and rigid materials that is designed for portable use. Despite its portable capabilities however, it is possible to mount the Javelin Series 2 on a work bench as well, so users can take advantage of the versatility offered by this tool. Many cutting bars have specific dimensions in terms of maximum cutting sizes, so be sure to consider the proper size tool for your space, as well as the length of materials you frequently encounter. No matter what your needs happen to be, when it comes to finding the right mat board and substrate cutting tools, Stapler Warehouse has what you need. Be sure to check out our online catalogue for more product options and information such as material and size cutting capabilities and special features for each product and check our Mat Board and Substrate Cutters for sale. You can also get in touch with one of our knowledgeable staff members to discuss what mat board and substrate cutter will be ideal for your needs by leaving a message on our website, or calling our customer service team directly.